Its been a rather extended break but I’ve been working on some exciting projects and have some cool stuff in store for next year so keep your eyes peeled. 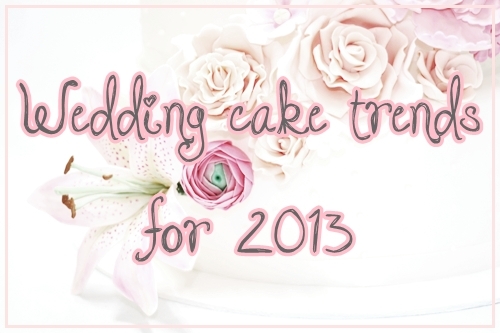 I’ve got a great post I’m working on, my prediction on wedding cake trends for 2013. But before I do a nostradamus, I wanted to share a favourite recipe of mine. 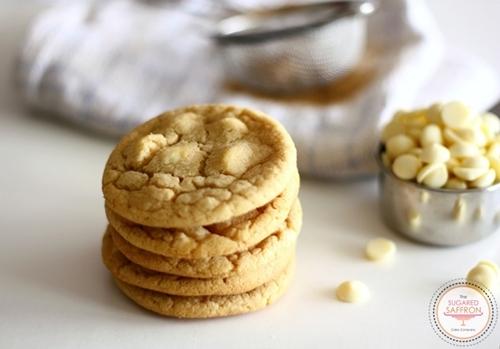 These are the softest chewiest white chocolate chip cookies I’ve re-created in my kitchen so far. 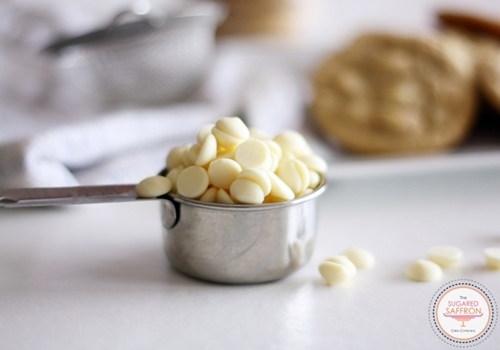 I normally use Callebaut couveture chips in them, which aren’t really chocolate chips because they don’t have the additives to help keep their shape once heated. I prefer that the chips are still melty after they’ve cooked but proper chocolate chips work just as fine. Better depending on your preferences. I’ve also used full caster sugar when my brown sugar has turned into a solid block. Enjoy! 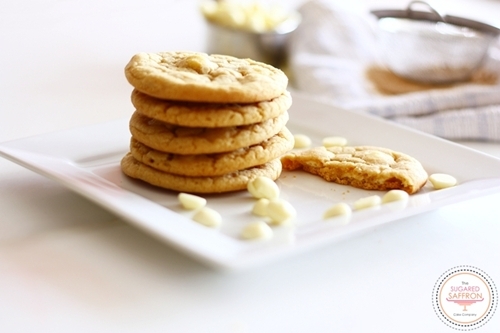 Bake for 7-8 minutes, the cookies will still be soft so don’t handle them before they are cool. Unless your greedy. Take out of the oven and leave to harden for a minute before transferring to a wire cooling rack. 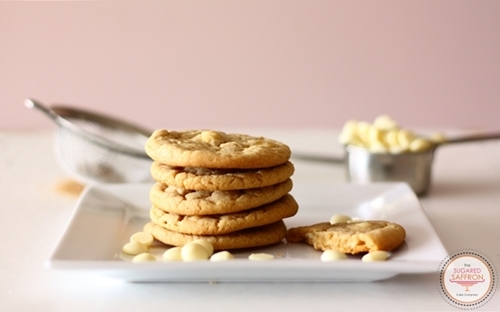 These are great warm, and they also store well, if they don’t all get eaten straight away!